If you pick a dandelion, you will see a viscous, milky white goo come out of the stem. That goo is latex. Exposed to the air, latex coagulates, creating a protective barrier. Plants use latex as a defense against insect feeding. [Slugs will eat leaves drained of latex, but not before.] We use latex in very different ways. Latex gloves, latex paint, and cosmetic sponges all get their start from latex. So do chewing gum, balloons, adhesives, and opium. The latex collected from the rubber tree is where we get, you guessed it, rubber. [Most latex paint, such as is used in whitewashing, is actually a synthetic latex.] It is estimated that 10% of all flowering plants, angiosperms, contain latex. Latex is an emulsion made up of of proteins, fats, starches, sugars, oils, resins, alkaloids, tannins, and gums. Emulsions are mixtures of two or more liquids that generally do not mix - think salad dressing. Homogenized milk and mayonnaise are also emulsions. Normally, latex is thick and white, but it can also be yellow, clear, orange, red, or watery. How is latex different from sap, or resin? Sap is the combined water, sugars, and plant nutrients that move through a plant’s vascular bundles to feed and water the plant. Resins, like latex, are protective substances that ooze from injury sites. Unlike latex, which coagulates and dries, resins create a hard, crystalline barrier. How do plants make latex? Latex is produced and transported in a separate system called the laticiferous system. There are two methods of latex formation and movement. Articulated laticifers consist of rows of plant cells found in the meristem tissue of stems and roots. The walls of these cells dissolve, creating tubes, called latex vessels. This method is common to poppies, fig trees, mulberries, rubber trees, and members of the sunflower family. Non-articulated laticifers, such as milkweed and spurge, develop a branching network of latex-producing cells throughout the plant. In some cases, the entire network is made from a single cell. Some mushroom, conifer, and fern species also produce latex as a defense mechanism. Because latex contains defensive chemicals, it can be an irritant. Prolonged exposure can lead to an allergic response. Individuals with a latex allergy are at risk for anaphylactic shock and should avoid contact. Some forms of latex can cause blistering of the skin, or blindness, while other plants produce a latex with reduced amounts of the allergen. As you work in the garden, note which plants exude latex when damaged. And monitor your skin for reactions to this liquid plant defense. Crawlers with no legs, a species with no males, and broody females who keep thousands of eggs warm and safe - what are these garden pests? Citricola scale. Native to Japan and southern China, citricola scale is currently found in California, Arizona, and Maryland, and in several other countries. Also known as grey citrus scale, citricola scale (Coccus pseudomagnoliarum) can be found feeding on citrus and pomegranate twigs in spring and early summer, and immature scale insects can be found feeding on the underside of leaves in late summer and fall. In addition to feeding on pomegranate, lemon, lime, orange, and grapefruit, these sap-sucking pests also feed on elm, bay laurel, hackberry, and oleander. There are only female citricola scale insects. They reproduce asexually (parthenogenesis). Each female can produce between 1,000 and 5,000 eggs during the summer. She will keep her eggs safe under her body until they hatch out in to crawlers, usually from June through August. That may sound like a crazy broody season, but citricola scale eggs hatch after only 2 or 3 days. The babies that come out of those eggs are called crawlers. The name crawlers sounds a little misleading because they don’t look as though they could do anything. But they do. These crawlers move to a good feeding site, attach themselves, becoming sessile (fixed), and feed until they molt into second instar nymphs, usually around November. These nymphs produce a lot of honeydew and are often protected and farmed by ants. Citricola scale start out as a yellow, oval egg. First instar crawlers are oval, flat, and nearly translucent. Sometimes they are yellowish-green to brown. Second instars are mottled brown. Citricola scale adults are one-quarter of an inch long, grey, oval, and flat. Well, slightly convex, but flat enough. They can be difficult to see because they start taking on the color of the twig to which they are attached. Citricola scale are often confused with brown soft scale. Citricola scale or brown soft scale? Citricola scale tends to have only one or two generations each year, while brown soft scale can have multiple generations going at any one time. This means that citricola scale insects you see will nearly always be at the same life stage, while brown soft scale specimens may be at any life stage. Also, adult citricola insects are grey, while brown soft scale adults are brown or yellow. Underneath those tiny domes of protection, citricola scale attach themselves to stems and leaves of citrus and pomegranate. They pierce the surface to reach the phloem, to siphon away valuable nutrients and sugary sap, weakening the tree. And they poop. This poop, called honeydew, contains a lot of sugar, and it creates the perfect growing medium for sooty mold fungus. Sooty mold blocks photosynthesis, further reducing your tree’s vigor. Citricola scale can reduce flowering and fruit production. During heavy infestations, twigs can be killed by citricola scale. Regularly monitoring citrus and pomegranate trees for these pests is your first line of defense. If you notice ant trails or sooty mold, take a closer look at twigs and leaves for signs of scale. Since ants protect these pests, you can eliminate that protection, making the citricola scale more vulnerable, by wrapping the tree’s trunk with a sticky barrier. Also, there are naturally occurring parasitic wasps that will control citricola scale insects (as long as you do not apply broad spectrum pesticides). Applying dormant oil in winter can also help reduce citricola scale populations. Research has shown that 40% of citricola scale in San Joaquin Valley are resistant to organophosphates. It is believed that there is also a cross-resistance to malathion and carbaryl. This looks to be yet another example of chemical pesticides actually making the pests stronger, as we add more poisons to the environment and our food chain. Bottom line, to control citricola scale on your pomegranate and citrus trees, inspect twigs very closely in April through June, and then look at the underside of leaves in late July. These pests can then be flicked off the leaf or stem with your fingernail. Relatively new to the United States, the European pepper moth is poised to cause significant damage to gardens and commercial agriculture. Each time an invasive plant or pest is brought into an area, there’s no telling what might happen. Resident predators or local diseases may make short work of the interloper. Then again, the insurgent may find a rich, predator-free environment perfectly suited to a population explosion. We don’t know, yet, which way things will go for the European pepper moth, but it’s probably a good idea to know what we’re up against, just in case. If that list doesn’t get your attention, I don’t know what will. Also on the list of favorite foods are roses, African daisies, azaleas, orchids, and many other flowers and ornamentals. The moths themselves don’t cause any harm to plants. Like other moths and butterflies, it is the larval stage, or caterpillar, that feeds voraciously on leaves, roots, buds, fruit, and flowers. Pepper moth caterpillars may girdle young seedlings, causing what looks like damping off disease. Later larval instars may burrow into stems unnoticed, until the the stem collapses. Leaf damage starts out looking crescent-shaped, similar to damage by the Fuller rose beetle, or round, but the entire leaf ends up being eaten. Feeding is normally seen in the lower leaves, then moving up the plant until it is completed defoliated. Feeding on the roots can interfere with a plant’s overall health and vigor and feeding on buds, flowers, and fruit, well, there goes your crop. So, what does the European pepper moth look like? Also known as the European marsh pyralid, adult pepper moths (Duponchelia fovealis) have a wingspan of approximately three-quarters of an inch wide and a body less than half an inch long. The forewings are grayish-brown with two distinct yellowish-white transverse lines. The outermost line has a “finger” that points backwards. At rest, the pepper moth holds its wings out to either side in a triangular shape. The head, body, and antennae are olive brown, and the abdomen features cream-colored rings. Legs are pale brown. Both sexes have long abdomens, but the male’s is unusually long, and he holds his curved upwards at rest. Pepper moth eggs are really tiny (1/50 of an inch). The eggs start out whitish green or pale yellow, which turn pink, then red, as they mature. Just before hatching, the egg turns brown. Eggs are laid singly or in batches on the underside of leaves, normally near the leaf veins. Eggs can also be found on stems, at the crown, in the soil, on the tops of leaves, and even on greenhouse walls and furnishings. Caterpillars start out salmon pink with a black head, and a line of grey and brown spots along each side. Some sections may feature a double row of dots. Using a hand lens, you can see a hair emerging from each spot. Just behind the head, you can also see a hard plate, which is the same color as the head. As they grow, the pink turns a dirty white color that can range from pure white to pale or even dark brown, depending on which of your garden plants they are eating. These caterpillars can grow to over an inch long. Just before pupating, they may lose their spots. Pepper moth caterpillars create a cocoon out of soil, frass, and webbing. The cocoon can be 1/2 to 3/4 of an inch long. A single female pepper moth can lay up to 200 eggs. Under optimal conditions (temperatures around 68°F), those eggs can hatch in 4 to 9 days. Over the next 3 or 4 weeks, the caterpillars feed ravenously. Then, pupation takes 1 or 2 weeks. Adult moths live to mate and procreate for a week or two and the whole process beings again. In greenhouse environments, 8 or 9 generations a year can occur. That ends up being a lot of pepper moths! In areas like California, where cold winters rarely occur, this pest could prove to be devastating. These moths have an unusual flight pattern - both males and females fly fast and low, with their abdomens curved upwards. You may see individual moths, or they may swarm. Pepper moth caterpillars are photophobic, which means they do not like light. If you shine a flashlight on a pepper moth caterpillar, it will become agitated, moving rapidly side to side. Pepper moths have been present in Europe for a very long time. In 1984, it became a greenhouse pest in Europe and Canada for the cut flower, vegetable, and aquatic plant industries. It is believed to have been spread globally through infested plants from those products. [Yet another example of why it is so important to quarantine new plants!] By 1988, the pepper moth had developed a taste for strawberries. In 2004, the pepper moth was found on begonia plants in San Diego, CA. It was again detected in 2010. By 2011, the European pepper moth had been found in seventeen California counties, as well as in fourteen other states. Departments of Agriculture in each of these states is monitoring for this pest. If you think you see one, please try to capture it and report it to your local County Extension Office. Native to Europe, the pepper moth moth prefers fresh and saltwater marshes. You might think, since you don’t have a marsh in your garden, that your plants are safe. But most of us have a creek, reservoir, or some other body of water nearby, and a pepper moth can fly up to 62 miles. Also, check the debris (detritus) that falls from container plants and around the base of the containers for signs of eggs or pupae. You can also lightly brush the soil around potentially infested plants for signs of pupae and cocoons. At this point, the best biological controls are to spray Bacillus thuringiensis (Bt) or beneficial nematodes (Heterorhabditis bacteriophora and Steinernema spp.). Rove beetles seem to enjoy feeding on pepper moth eggs and caterpillars, and certain predatory mites and wasps also parasitize these pests, so avoid using broad-spectrum pesticides. Since pepper moths prefer moist, hidden areas, keeping your garden tidy and free of overly moist areas can reduce the chance of perpetuating the species in your neck of the woods. Again, because this is a relatively new pest, with the potential for significant long term damage, if you see one, please report it. If you live in California, you can call 1-800-491-1899. If you live elsewhere, contact your local Department of Agriculture for reporting instructions. Knowing where this pest is can help in its eradication, which is really good news for your tomatoes, basil, figs, and cucumbers! If you see orange frass and bark damage, it's probably the American plum borer. Like flathead borers, clearwing moths, and shothole borers, the American plum borer (Euzophera semifuneralis) feeds on the cambium layer of branch crotches, the lower trunk, and the root crown. This feeding weakens and damages branches, and can even kill a young tree. Each spring, adult plum borers emerge, mate, and eggs are laid in bark wounds. These wounds can be caused by branches rubbing together, a poorly aimed weedwacker, a careless pruning job, or any number of other insect pests. Also, branches that are growing too close together or at a tight angle, and heavily furrowed bark, can provide the necessary shelter. When the eggs hatch, larva enter the bark wound and begin feeding on the cambium, which contains the vascular tissue carrying water and nutrients throughout the plant. The larvae burrow shallow, irregularly-shaped tunnels between the wood and the bark. These larvae go though several stages, or instars, growing progressively larger, over the next 30 to 38 days. Finally, the larvae pupate in a loosely spun cocoon, inside the tree, where they overwinter. There can be up to four generations each year. Pupae that occur during the early part of the season can reach adulthood in as little as 10 days. Adult plum borer moths are dark grey with black and brown wing markings. The legs and body of the adult moth are a dusky grey with a reflective bronze. The wings have a white fringe. The larva can be white, green, or pink and are usually one inch long. If you use a hand lens, you should be able to see a circle of tiny hooks on the bottom of a plum borer’s fourth set of feet (B), called prolegs, as opposed to clearwing moth larvae (A), which have two rows of hooks. [Now you know how larva can climb up vertical surfaces!] More often, you will see the damage caused by the American plum borer, long before you actually see the insect. As plum borers feed, they leave behind a trail of destruction. Reddish orange frass collects wherever they feed. Also webbing and extensive gumming can be seen. Gumming is a gooey discharge plants use to protect themselves. The gum hardens as it dries, but, unlike sap, it is relatively easy to wash off. Eventually, branches are weakened to the point of breaking and the tree’s overall health declines, reducing or eliminating any chance of harvesting those delicious plums. Keep pruning cuts smooth, so they can heal quickly. Provide sunburn protection by whitewashing trunks and exposed branches. Avoid mechanical injury by lawnmowers, weedwackers, and cars. If a bark injury is already present, or if your tree has bacterial galls or a fungal canker, and you know that plum borers are nearby, it may be worthwhile to hire a professional to apply a residual, contact insecticide. Over-the-counter products are not effective against the American plum borer. Fuzzy greenish brown skin and refreshing green fruit are what most of us know as kiwifruit, or simply kiwi. What you probably didn’t know is that there are actually many different types of kiwi, and that some of them can withstand temperatures as low as -40°F! The word kiwi can refer to the smallest cousin of emus and ostriches (Apterygidae Apteryx), the people of New Zealand, or a delicious fruit that you might want to add to your garden or foodscape. Kiwi are natives of China. Commercial cultivation didn’t start until the early 1900’s. Kiwifruit by species (Crowhurst et al.) A = A. arguta, C = A. chinensis, D = A. deliciosa, E = A. eriantha, I = A. indochinensis, P = A. polygama, S = A. setosa. Kiwifruit vines need a certain number of chill hours to produce fruit, depending on the variety. Be sure to calculate your local chill hours and select a cultivar that will produce fruit for you. Pollination of kiwi is tricky. Apparently, bees are not impressed by kiwi flowers (I think they’re lovely). Commercial kiwi growers often have to inundate their kiwi orchards with honey bee hives, in a practice called saturation pollination, to increase the likelihood of pollination. As a home grower, you can always hand pollinate. Also, very few kiwi cultivars are self-pollinating. Most kiwi vines are either male or female (dioecious). If you want fruit from a cultivar that is not self-pollinating, you will need at least two vines, but one male plant for every 3 to 8 female plants is ideal. Even self-pollinating vines will produce more fruit if there is a male plant nearby. Like many bare root fruit trees, kiwi plants are generally sold as fruit producers grafted to sturdy rootstock that have been produced asexually, with cuttings. This gives you the best of both cultivars and an assurance of fruit that will be similar to the parent plant. Being vines, kiwifruit grow best on a sturdy trellis or pergola. This gets the vines and fruit off the ground, provides excellent sun exposure, and ensures good air circulation. Kiwi vines tends to be weak, so the trellising also protects the vines from breakage. Kiwi grows best where it is protected from heavy winds. Vines need good drainage, but the soil must be kept moist at all times. This is a good time to put that drip irrigation system to work! Kiwis should be planted 15 to 20 feet apart, with one exception: plant one male and one female in the same hole. Kiwi fruit is borne on on all canes, but production is at its peak in the first year or two. Vines should be pruned off in their third year. One way to make this job easy it to create a three-color system of ribbons or ties. Every year, simply look for a specific color and remove those vines. When you’re done pruning, use those ribbons on the current year’s growth. Kiwi vines should be fed a high-nitrogen fertilizer once in spring and again in early summer, to give them the nutrients they need to produce all those leaves and delicious fruit. You may need to provide frost protection in winter, depending on your location and the vine cultivar. Very few insects will bother your kiwifruit vines. Armored scale, boxelder bugs, and leafrollers are all you have to watch for. Nematodes in the soil may also cause problems. Kiwi diseases are nearly all of the fungal variety, although a devastating bacterial disease (Pseudomonas syringae actinidiae (PSA)) has appeared in New Zealand, Italy, and Chile. Armillaria root rot, bleeding canker, botrytis fruit rot, crown gall, phytophthora root and crown rot, sooty mold, and bacterial blight are the most common diseases of kiwi, here in California. Kiwi takes several years to produce fruit. But it’s worth the wait! Sometimes it is difficult to know just where to begin, especially when you are new to gardening. Themed gardens are one way to jump-start the garden planning process. How much sun does an area get each day, throughout the seasons, and when is that sun available (morning, afternoon)? Take the appearance of your home and the rest of the landscape in mind when designing - will the looks complement each other? Select plants appropriate to your microclimate. Consider what each plant will look like throughout the seasons. As you select plants, keep their mature size in mind, and plant accordingly. Planning a garden can feel overwhelming. Sometimes, the best way to start is to simply select one type of plant, often tomatoes, and grow from there. A single potted tomato, however, is not going to transform your landscape. You can also go to the other end of that spectrum and learn about landscape design, using boundaries, lines, surfaces, forms, texture, color, art, furnishings, and lighting to create your masterpiece. Somewhere between those two extremes is a balance of what you want, what you have the time to maintain, and what plants need to stay healthy. To help you pull your garden together and select plants, you may decide on using a garden theme. But, there is another way of looking at themed gardens. You can create your own themed garden to create a favorite dish or holiday meal, or it may be a children’s garden, an herb garden, or an edible storybook garden. Having a theme can help guide you with plant selection. Today, we will look at some common edible garden themes, the plants that might be used in those gardens, and maybe a little garden art, just for fun. Salad gardens are very rewarding, because lettuce and other greens and radishes tend to grow quickly. There are a rich variety of salad greens available, red loose leaf, pale green curly endive, buttery Bibb lettuce, upright cos or Romaine lettuce, dark green spinach, and many more. You can also add color to your salads with rainbow Swiss chard, with brilliant red, pink, white, and yellow stems that can be sliced up just like celery. Oh, yes, and you can grow celery. And cucumbers, sweet peppers, carrots, artichokes, corn, dandelion greens, mustard greens, fennel, jicama, and kale can also be used in a salad-themed garden. You can even add a dwarf almond tree for some slivered almonds on top of that salad. If you prefer your vegetables stir-fried, a stir-fry garden makes it simple to throw together a flavorful, healthy, fresh-from-the-garden meal. Carrots, onions, garlic, cilantro, bell peppers, hot peppers, even your own saffron can all be grown at home. Introducing children to gardening at an early age is an excellent way to get them outside, away from technology, and physically active. A children’s garden nearly always features fast growing, dramatic plants, such as a fort made out of sunflowers, or a pole bean teepee. 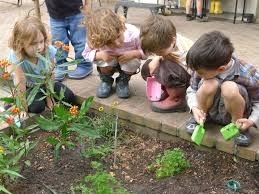 Children also enjoy fragrant edibles, such as chocolate mint and lemon thyme, and fast growing radishes. Unique plants, such as golfball-sized Parisian carrots, and cucumbers that look like miniature watermelons (Mexican sour gherkins), can add whimsy and fun to your children’s garden. Favorites, such as strawberries, blueberries, and cherry tomatoes can create a magical play area, filled with delicious, healthy edibles that create curving paths, secret hideaways, and storybook reminders. Aside from the meat and cheese, you can grow pretty much every other ingredient used to make a pizza. You can grow tomatoes, onions, and garlic, for the sauce, along with herbs, such as basil, oregano, and thyme. You can also grow sweet red, green, orange, and yellow peppers, hot peppers, and artichokes for your pizza. If you like, you can even grow your own olive tree in a container, and a patch of wheat, for the crust. And if pizza isn’t your thing, you can pick a different dish, and create your own garden theme using those ingredients. A storybook garden is a delightful way to add art and whimsy to a landscape. Designing, installing, and caring for a storybook garden is an excellent children’s activity, as well. Nearly all traditional children’s stories can be used to create a storybook garden: Beatrix Potter’s Peter Rabbit and Frances Hodgson Burnett’s The Secret Garden are popular favorites, but you can use any book you like that has edible plant references. Herb gardens are attractive, tenacious, and rewarding. Except for basil, most herbs will continue to grow for many years. Rosemary, lavender, and thyme add fragrance, flavor, and beauty wherever they grow. Members of the mint family, oregano, lemon balm, summer savory, marjoram, and sage are best grown in containers, due to their tendency to spread. You can also add chives, cilantro, and tarragon to an herb garden. You may want to add a nice place to sit and enjoy a good book. It’s going to smell so lovely, you’ll want to stick around. What if you could create a traditional Thanksgiving, Christmas, or other holiday meal from your own backyard? You can. If you plan ahead, you can harvest an abundance of many popular holiday meal ingredients: beets, carrots, potatoes, onions, peas, beans, sweet potatoes, pearl onions, fennel, tomatoes, and spinach are just a few of the possibilities. Sage, basil, oregano, parsley, and mint can also be grown for holiday meals. Whatever traditions your family celebrates, you can create a garden patch that saves you a trip to the grocery store and gives you full bragging rights. You may have seen grafted fruit cocktail trees available through garden catalogs. These dwarf trees usually feature nectarines, peaches, plums, and apricots, all on the same tree. You can flesh out your fruit cocktail garden with potted raspberries, blackberries, currants, and strawberries, and then surround the whole thing with a small blueberry hedge. Imagine all that sweet deliciousness in one place. Put aside images of a serene, manicured Japanese tea garden and imagine, instead, growing your own tea. Tea plants (Camellia sinensis) can be grown outdoors in Zones 8 - 12, or indoors year round. But, this traditional black tea is not the only plant grown for its use as a tea. If you love tea, you know that you can also enjoy chamomile, mint, and lavender tea. Other options for a tea garden include lemon balm, jasmine, coriander, bergamot, hibiscus, elderberries, ginger, rose hips, raspberry and blackberry leaves, licorice, lemon grass, blackcurrants, dill, and dandelions can also be used to make tea. The more pollinators that visit your garden, the more likely you are to have a good sized harvest. You can attract bees, butterflies, honey bees, and many other beneficial insects with brilliant blooms of borage, salvia, and butterfly bush, and by allowing many common food plants to go through their complete lifecycle. Carrots, caraway, celery, chervil, cilantro, cumin, parsnips, dill, fennel, and parsley are all umbellifers. Umbellifers have umbrella-shaped flowers that beneficial insects love. Allowing lettuces, Swiss chard, and others to go to seed also provides nectar and pollen for these beneficials, as well as hummingbirds. The changing shape, colors, textures, and sizes of these plants keeps your landscape interesting. Just be sure to provide a water source for all these tiny helpers. A birdbath or small fountain is all that’s needed. Just be sure to clean them, every once in a while. Rather than leave creating that garden for some distant future date, pick a patch of ground today. Select your theme and cover the area with some aged compost while you choose your plants and your design. In no time at all, you will be enjoying the fruits (or vegetables and herbs) of your labor! If you see yellow spots that spread to fill the spaces between leaf veins, your melon or squash plants may have cucurbit yellow stunting disorder. Cucurbit yellow stunting disorder (CYSD or CTSDV) is a viral disease of cucurbits, carried by whiteflies. ​Cucurbits are popular garden plants. They include summer squash, winter squash, watermelon, muskmelons, pumpkins, cucumbers, and more. Since some whitefly species can travel relatively long distances, this disease can find your garden throughout the growing season. To reduce the chances of the infection spreading from one plant to another, it is a good idea to learn how to recognize this disease in its earliest stages. The first symptoms of CYSD look a lot like water stress, as the virus begins spreading throughout the plant. Then, yellow spotting on older leaves will develop. This yellow spotting can also mean the plant has a molybdenum deficiency, or that it has cucurbit aphid borne yellow virus (CABYV). You can take a leaf sample to your nearest county farm advisor, where they will conduct a molecular test to verify the disease. If the chlorotic areas spread to the point that the entire leaf is yellow, except for the veins, it is likely to be CYSD. Small green patches may appear in the yellow areas. Other symptoms include leaves curling upwards and becoming brittle. As the disease progresses and the vascular system breaks down, older leaves are dropped and fruit is neglected, as the plant tries to protect itself. This makes fruits smaller, less flavorful, and more prone to pests and other diseases. Also, fruits from infected plants do not store as well as fruits from healthy plants. Protect your cucurbits from whiteflies for an abundant harvest this summer and fall! Licorice whips, dark, salty drops, and soothing teas all get their signature flavor from the licorice plant. Well, sort of. The root of the licorice plant is what gives us its sweet flavor. In fact, the word licorice comes from the Greek for sweet root. Licorice gets its flavor from certain chemicals found mostly in those roots. But licorice isn’t the only plant with those chemicals. Star anise, fennel, and anise, none of which are related to licorice, feature similar tastes. Most candies that are licorice-flavored actually contain very little licorice. Instead, aniseed oil is used to enhance and reinforce the flavor. Chemically, the sweetness of licorice is very different from the sweetness we expect from sugar. Licorice takes longer to register as sweet, but that sweetness lasts longer. In the Netherlands, dried sticks of licorice root are chewed as a candy. Thirty to fifty times sweeter than candy, these treats don’t hurt your teeth or your calorie count! Up until 2009, licorice root was used in the U.S. to enhance and moisturize tobacco products. Depending on where you live, licorice is described as either a weed or an herb. I guess it has something to do with whether or not you like the flavor. However you feel about it, the licorice plant grows into a shrub that is 3 feet around, give or take. It has long, pinnate leaves, made up of leaflets. Delicate blue, purple, and yellow flowers are loosely clustered. The plant produces a pod-shaped fruit filled with seeds. Licorice plants spread using stolons, the same way strawberry plants have runners. The licorice plant (Glycyrrhiza glabra) is an herbaceous perennial legume. Being a legume, licorice has a relationship with certain root fungi, called mycorrhizae, that allow them to fix atmospheric nitrogen into a form the plant can use for food. Those roots (which contain most of the licorice flavor) are extensive. They can reach 3 to 4 feet deep, and the stolons can extend for up to 25 feet! Don’t let that scare you off. If you prefer, you can also grow licorice in a container. Licorice has long been seen as a treatment for upset stomach and upper respiratory illness. Countless other claims have been made about licorice as a medication, but the scientific research does not yet support those claims. What it has shown is that licorice contains chemicals that can cause medical problems. If you are pregnant, or have existing heart or kidney problems, you should not eat actual licorice root in excess. That shouldn’t be difficult, right? Traditionally, licorice was grown in Southwest Asia and the Mediterranean. The licorice plant prefers full sun to partial shade, good drainage, and slightly alkaline soil. Licorice can be propagated with cuttings, by division, or from seed. To start a licorice plant from seeds, you will need to soak the seeds in water for 24 hours before planting them 1/2 inch deep. Keep the soil moist until the seeds germinate, which should take two weeks. Germination is most successful when temperatures are around 68°F. These plants get large, so be sure to give each plant enough room to reach full size. Licorice is somewhat frost tolerant, able to withstand temperatures as low as 5°F, as long as it doesn’t stay that cold for long. Mulch around the plants to retain moisture, stabilize temperatures, and reduce completion from weeds. Your licorice plants do not need to be fertilized. The same flavors that make licorice so pleasant for us make it undesirable to most garden pests. Spider mites, slugs, and caterpillars are the only real pests of any concern. Powdery mildew can also be a problem. Other than that, licorice plants are trouble-free. Licorice root needs to grow for 2 or 3 years before it can be dug up in the fall. Leaving the main roots in place and undisturbed, dig up secondary roots, wash them, and store them in a dark location where they can dry. They can be kept for several months at this stage. To use, simply peel off the bark and chew or simmer out the root’s sweet deliciousness. You can also use licorice stems to make a tasty tea. This unassuming, resilient plant can fill a neglected spot in your garden or foodscape, providing a tasty diversion when the mood strikes. Who wants scabby apples? Yuck! If you see pale yellow spots on your apple leaves, fruit, and stems, that turn brown, your tree may be infected with apple scab. Apple scab is a fungal disease that can defoliate your tree and destroy your crop. This disease is most common in areas with cool, moist weather in spring and early summer. This disease can also affect ornamental crabapple. Before losing your apples to the Venturia inaequalis fungus, let’s see what we’re up against. Apple scab starts out as chlorotic (yellow) spots on leaves. Then dark, olive-colored spots appear on leaves and fruit. In severe cases, these spots may also show up on stems. If you look on the underside of infected leaves, the surface will look velvety. That ‘velvet’ is fungal growth. Affected leaves may also pucker or twist. Severe infestations cause leaves to turn yellow and fall from the tree. Infected stems can lead to blossom drop. Finally, later in the growing season, sooty or greasy grayish-black areas appear on the fruit. These lesions often have a red halo. As the fungi develop, the area becomes sunken, tan colored, and scabby. The fruit may also become distorted and crack, providing other pests and diseases with a point of entry. When infected leaves fall from the tree, they take fungal spores with them. These spores then overwinter on these leaves. When rain or sprinkler water hits these leaves, the spores can be bounced back into your tree, where they will germinate and start the whole process over again. For the backyard orchardist, the easiest way to break the apple scab disease triangle is to remove and dispose of infected leaves. [This disease can also overwinter on nectarine and peach leaves.] Commercial apple growers may apply zinc and fertilizer-grade urea to leaves in autumn to speed leaf drop, and apply fungicides during the rainy season, at budbreak and a month after petal fall. but these are probably not practices you want to be doing at home. If your apple tree(s) become severely infected, you can use fixed copper, Bordeaux mixture, sulfur, or neem oil from the time green tips appear, until the tree is in full bloom. Avoid using these treatments after that time as they can cause fruit russetting. And be sure to follow the directions for any of these treatments carefully. For example, applying sulfur within 3 weeks of using horticultural oils, or on days when temperatures are above 90°F can lead to phytotoxicity. As you conduct a weekly inspection of your apple tree each spring, be sure to enjoy the emerging blossoms! How would you like a garden or landscape filled with plants for free? Rather than buying seeds and seedlings, digging furrows, rows, and hills, planting and watering those seeds and seedlings, and hoping for the best, you can let nature takes its course and grow a surprising number of self-seeding vegetables, herbs, and flowers without any help from you. Plants classified as self-seeding are usually annuals or biennials that tend to produce a large number of viable seeds, pods, or capsules. These seeds fall to the ground, where they then start a new crop of the same plants (called volunteers) within the immediate (and not-so-immediate) area, during the next growing season. All this productivity occurs without any human intervention. As an added advantage, self-seeding plants provide more pollen and nectar for local pollinators and other beneficial insects than would otherwise be available, and for a longer period of time. Self-seeding plants come in all shapes, colors, and sizes. Aeoniums, borage, marigolds, nasturtiums, poppies, snapdragons, sunflowers, sweet alyssum, and zinnias and are all self-seeding. Before installing a self-seeding plant, however, be sure to check with your local extension service to make sure it is not an invasive plant. Also, be sure to select a location suitable to long-term growth. You can introduce self-seeding plants into an area for free simply by tossing a seed head from a mature plant into the area. The seeds will take care of themselves, providing a new crop during the next growing season. While these offspring are not always true to their parent plants, especially in the case of hybrids (names that include F1), I have found they are always delicious and edible! Open-pollinated heirlooms are more likely to look, grow, and taste like their parents. I have maintained the same four beet plants, two yellow, one white, and one red, for several years, for seed production. As a result, I have beets turning up everywhere! And the parent plants add changing shapes, sizes, and colors throughout the seasons. Endive and several lettuces are now naturalized in my foodscape. By naturalized, I mean that the plants turn up wherever they take hold. At first, they are low-growing mounds of salad deliciousness. Then, in mid-spring, a central stalk appears, drawing the plant upward in a cone shape that ends up bearing lovely blue and white flowers. After the seeds have been dispersed, I cut the plants off at ground level and feed them to my chickens. Next winter, new crops of endive and lettuce appear like clockwork, with no effort on my part. I transplant some of these volunteers to create lovely borders and accent plants. And they don’t cost me a dime. Many herbs are also self-seeding. Basil, chamomile, chives, cilantro/coriander, dill, fennel, lemon balm, oregano, parsley, and sorrel, are just a few favorite herbs that willful an area without any help from you. Parsley, in particular, is a super seed producer. A single parsley plant can produce the equivalent of 10 seed packets! For free! The very characteristics that make self-seeding plants so successful can also make them troublesome. Some self-seeding plants can take over an area, much the way mint plants do. Also, if a plant is prone to certain diseases, such as powdery mildew or blight, or susceptible to insects commonly found in your garden, you might need to incorporate crop rotation to break the disease triangle, or insect life cycle. If you really want them, these self-seeding plants are best corralled into containers and deadheaded frequently. If your self-seeded volunteers turn up in undesirable locations, you can always transplant them into a more suitable or convenient spot, pull them by hand as seedlings, or mow any that turn up in a lawn. If your winters are too cold to allow self-seeding to occur naturally, you can always collect seeds from these abundant producers and use them to start next year’s crops. Lighten your work load and increase biodiversity in your garden and landscape with self-seeding vegetables and herbs! You’ve probably seen plant labels, seed packets, online information, and comments in gardening books about hardiness zones, but what are these zones, and how can they help you in the garden? If they are planted in the right location, they can grow and thrive. Remove any of those favorable conditions and life can get downright difficult. The most important factor to a plant’s health is temperature. Choosing plants suited to your local climate can make all the difference in whether or not they thrive or die. The USDA Hardiness Zone map can help. In an effort to help farmers and gardeners select the best plants for a particular geographic area, the U.S. Department of Agriculture came up with the Hardiness Zone map in 1960. This map was revised in 1965, 1990, and 2012. These revisions are due to more accurate measurements and expanding heat islands (cities, roads, and urban development). The most recent version is based on temperatures collected from 1976 through 2005. In this version, two new zones were added. The Hardiness Zone map collects average annual minimum winter temperatures from weather stations across a region, to designate a zone. These zones are divided into bands that are 10°F apart. Average winter minimum temperatures are used because they are critical to a plant’s ability to survive. Each zone is given a number between 0 and 12. Each number is then subdivided into “a” or “b”, depending on those average minimum winter temperatures. Knowing your Hardiness Zone can help you select plants best suited to your region. As useful as the Hardiness Zones map is, it has limitations. Simply reading a label that says a plant is “hardy to Zone [insert your number]” is not enough to make an informed decision. Each location is its own microclimate, with unique temperatures, weather patterns, and countless other variables. The Hardiness Zone map is simply a starting point. The Hardiness Zone map does not take summer temperatures, snow cover, number of frost dates, soil moisture, or the likelihood of a severe cold snap into account. For example, Seattle, Washington, and parts of Dallas, Texas, are both rated as zone 8b, because they have very similar winters, but their summers are extremely different. These differences must be taken into account to ensure plant survival. The 2012 Hardiness Zone map is available online. All you have to do is enter your zip code. Under the search field, you will see your zone. You can also look at a static state map that has more detail. My zone, living in the south Bay Area, is 9b, which means the local average winter minimum temperature is 25 to 30°F. But, because I know my yard, I know that those temperatures are not entirely accurate. For more reasons than I know, my yard has a microclimate that is always a little warmer than local weather reports suggest. This means I can provide plants with slightly warmer winter temperatures. It also means that I must provide more irrigation and better sunburn protection through the summer. Try hanging a thermometer somewhere in your garden to fine tune the information you get from the USDA Hardiness Zone map. When you look at a flower, you probably notice the petals first. Bright colors and brilliant arrangements attract people and pollinators alike. All of those petals together are called the flower’s corolla, or inner perianth. At the base of that corolla, you will sometimes see a green cup shape made up of lobes. The lobes together are called the calyx, or outer perianth. Each lobe, individually, is called a sepal. Sepals encase a bud before the flower blooms, providing protection. Usually, after the flower blooms, the plant has no use for the sepal and it is allowed to whither. Some flowers retain their sepals, using the cup-like structure for added support for the flower. In some cases, such as oyster plants, the sepals are quite large and they protect the nyctinastic flower during the afternoon and through the night. Tomatillos and groundcherries, however, put their sepals to work as papery outer coverings for their precious fruit. These protective bladders help keep birds and insect pests away. Like flower petals, sepals are modified leaves. While often smaller than the petals, sepals can be longer and larger. Sepals can look like teeth, ridges, or scales, especially on plants in the grain family, or they can look like leaves or petals. Normally green, they can also be very colorful and may look like petals. When the petals and sepals are too difficult to tell apart, they are called tepals. Flowers with tepals are called petaloid. Tulips and aloe plants are petaloid. Some sepals are attached or fused to each other (gamosepalous), while others are separate from one another (ploysepalous). When the sepals are fused toward the base, as in the case of legumes and pomegranates, they form a calyx tube. In the rose and myrtle plant families, this structure is called the hypanthium. The number of sepals present can help with plant identification. The number of sepals is called its merosity. Eudicots generally have a merosity of four or five, while monocots and palaeodicots have a merosity of three. If you see a flower with 4 or 8 sepals, you will know that it is a eudicot. If it has 3, 6, or 9 sepals, it is either a monocot or a palaeodicot. If is has 15 sepals, well, you’re on your own. Some plants need help staying upright. That’s where garden stakes come in. Some of your plants, such as peas, cucumbers, and pole beans, need something to climb, while tomatoes, eggplant, and peppers often need help staying upright. As these plants begin producing fruit, the load they have to carry can sometimes be more than they can support. When that happens, stems can bend or break and fruit ends up touching the ground. This allows fungal diseases, slugs and snails, and other pests and diseases to threaten your crop. These problems can be prevented with garden stakes, tree supports, and tomato cages. Most gardeners are familiar with tomato cages. Tomato cages provide a framework within which plants can grow and produce without risk of falling over. In some cases, using simple garden stakes can provide similar support. Peony supports look similar to a tomato cage, but with bars across the middle. Tree supports are used when trees are young and newly planted. These supports provide protection from mechanical damage from lawn mowers and careless drivers (or walkers). They also prevent breakage from strong winds. It is important that tree supports are used properly and removed when they are no longer needed. Garden stakes are available for purchase in many different materials, or you can make your own. Garden stakes from retail outlets are generally made from wood, plastic, or metal. I have a collection of bamboo stakes, in various lengths, that I find very useful. You can also make your own from tree branches (called pea fencing), sunflower stalks, scrap lumber, and whatever fits the purpose. One common mistake new gardeners make is tying plants too tightly to garden stakes, or using material that is too thin. Thin string or wire can easily cut into stems. You can use cloth, insulated wire (I found a huge roll of insulated wire at a yard sale for $3), or commercially available plant staking tape. When tying plants to stakes, be sure to allow room for growth and some movement. Sooner is better than later. It is much easier on your plants (and you) to install garden stakes while plants are small. This way, you don’t have to maneuver around stems and fruit, and root systems are still relatively small, so there’s less damage. Have some fun with your imagination, when it comes to garden stakes. You know that old umbrella that was turned inside out during a storm? Remove the fabric and the U-shaped handle and mount it on a pole. Attach strings to each arm and allow peas to climb up! You could repurpose an old bicycle wheel, create a tower out of some old chicken wire, or, install plants near a picket fence or stock panel for built in garden stakes. Plants don’t care what you give them as garden stakes, but your harvest will be significantly improved with these handy tools. If you see tiny dark nubs on your citrus or olive twigs, your tree may be infested with black scale. Black scale (Saissetia oleae) build a soft, thin, way covering over themselves as protection. Unlike armored scale insects, this protective covering cannot be removed from soft scale insects. Black scale is a type of soft scale that produces a lot of honeydew. Honeydew is a nice way of saying sugary bug poop. Honeydew provides the perfect growing medium for sooty mold. It also attracts ants, which can carry diseases. All scale insects are sap-suckers. They use piercing mouthparts to access vascular tissue within the host plant. This feeding weakens the host plant, leading to fruit drop, wilting, twig dieback, stunting, and overall loss of vigor. In this weakened state, citrus trees are more susceptible to damage by drought, temperature extremes, other insects, and disease. Heavy infestations of black scale can kill part or all of a tree. Each May and June, here in California, and again in October and November, female black scale insects lay as many as 2,000 eggs, without ever mating! These eggs hatch out into crawlers, which crawl around on the host plant, looking for a nice place to set up shop, usually on leaves. These crawlers go through several instars, or stages. In the second instar, they develop a ridge on their back. This ridge expands into an “H” shape. After they molt a second, time, they head for twigs, and begin growing in earnest. This is where their bodies become more circular and their protective cover turns a leathery mottled gray. As each of these offspring approaches reproductive age, the cover gets darker and harder, and the “H” often disappears. Black scale insects tend to be a serious problem every 5 to 10 years. Normally, local parasitic wasps and other predators keep this pest under control. Dust and the use of broad spectrum pesticides can interfere with these natural controls. In years of heavy infestation, specific pesticides may be needed. Before using a pesticide against scale insects, be sure to look closely. If you see tiny holes in the scales, there is no need to spray. Those holes are from scale parasites which have already done their job. You can also reduce scale populations by hand. Simply grab a wet, soapy rag and start wiping them off. While you’re at it, you can help your tree increase photosynthesis by wiping off the sooty mold, too. You may be seeing large purple flowers popping up in your landscape each spring. Frequently considered weeds, the oyster plant offers delicious roots, shoots, and flowers. The oyster plant (Tragopogon porrifolius), also known as salsify, purple salsify, Jerusalem star, or goatsbeard, offers lovely spiked purple flowers each spring morning, tucking themselves discretely away by early afternoon. [The names goatsbeard and salsify are applied to other species, as well, so we will avoid using them here.] The oyster plant is a member of the sunflower family. Oyster plants are a biennial wildflower/vegetable. Originally from the Mediterranean, this plant is now found around the globe. This plant starts out looking much like grass, with straight blade-like leaves. A central stalk emerges that can reach 4 feet in height, though they are normally half that height. If damaged or broken off, a milky white sap, or latex, is seen. The taproot looks much like a white carrot. Large purple flowers can be 2 inches across. Behind each flower head, you will see green spikes that are longer than the flower petals. These spikes are ligules of the ray flowers (petals). Flowers are both male and female. Pollination is performed by insects. These plants, similarly to dandelions, produce seeds that are actually dried fruits surrounding the seed. These seeds are known as achenes. Oyster plant seed heads look much like dandelion seed heads, only bigger. This plant has been used for food for over 2,000 years. As a food, this plant has gained, lost, regained, and lost again its popularity. All parts of the oyster plant are edible. It is a mild, slightly oyster-tasting vegetable, hence the name. Once broken, the root tissue will become discolored and quickly spoil if not eaten soon after. This process can be slowed if the root is stored in water with a splash of vinegar. Young roots can be grated into salads, while older roots are cooked into soups and stews. Oyster plant latex can be used to make a chewing gum. Edible flowers can also be added to salads, and young floral shoots can be treated the same way you would use asparagus. Even the achenes can be sprouted and added to salads. Rather than yanking this plant out of your landscape as an unwanted weed, take advantage of its ability to grow without any help from us, savor its delicious taste, and enjoy the lovely blooms while they last. Pea pods are just one example of the protective seed covering we call a pod. Most legumes and many Brassicas produce a long, dehiscent fruit that contains many seeds. [Dehiscent means that the structure opens spontaneously when its contents are mature.] Vanilla beans come in a pod, as well. But what makes a pod unique in the plant world? A pod protects the developing seeds. Pods can also perform photosynthesis, providing the seeds with food energy. Scientists have recently learned that pod tissue can recognize when a seed is damaged and relocate resources to where they might be better used. It ends up pods are major players in regulating seed development. Plants invest a lot of energy into creating pods to protect their precious cargo. While bean seed beetles and other seed-chewing beetles may gnaw their way inside, and the pod spot (Ascochyta fabae), powdery mildew, and other fungal diseases may try to dissolve the pod, pods tend to be a strong defense for the genetic information they contain. The pods of beans, okra, peas, radish, and mustard are just a few of the edible pods you may have in your garden. And if you allow any of these plants to go through their complete life cycle, the pod will dry and split open, dispersing seeds where they fall, generating more plants for your foodscape!